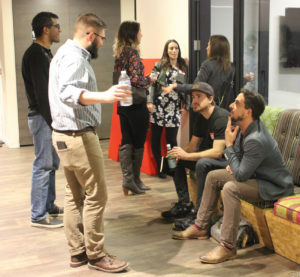 On a cold January evening, over 60 D.C. metro area marketers filled The Hatchery, AARP’s very own innovation lab. During this particular monthly meetup, we discussed the direction of augmented reality and virtual reality are heading and how marketers should prepare themselves for this new marketing channel. 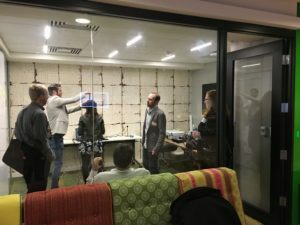 We co-hosted the event with the DC Enterprise Sales Forum because we believe that both sales and marketing should be prepared to use this new technology to better engage with prospects and clients. Our evening started as always with networking over food and drinks. The mission of DC Marketing Tech Talks is to foster a community of marketers in the Washington D.C., Maryland, and Virginia area and educate marketers about marketing tech. If you are in the area come join us at our next meetup. 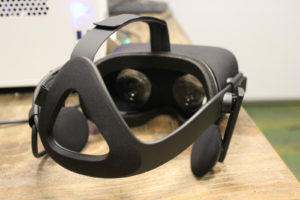 The panel discussion started with an overview of where the market is now and the differences between Virtual Reality, Augmented Reality, and how over time they might blend together. 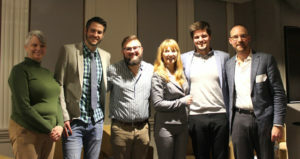 The panelists were the founders of Capitol Interactive, NotionTheory, LookOnMedia, and AVA Solutions alongside Winifred Quinn, AARP’s Director of Advocacy and Consumer Affairs. Dawna Newcomb from DC Enterprise Sales Forum was our panel moderator The panel shared their thoughts on how marketing and sales teams can take advantage of the technology. 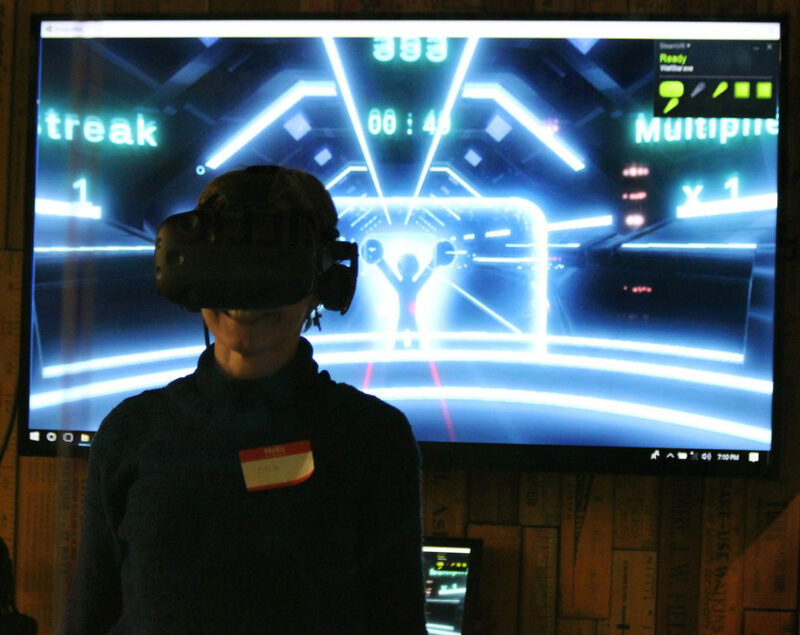 Tell immersive stories with Virtual Reality marketing – Sales and marketing are at their cores about appealing to the prospect’s emotions through storytelling. VR can help by allowing prospective clients to immerse themselves in what you’re selling and get their emotional buy-in. Use AR/VR at the top of the funnel – You can save costs at top of the funnel by allowing prospects to quickly find what they want. 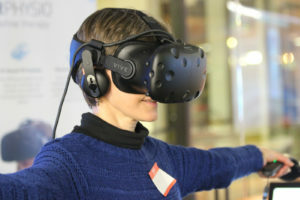 In the real estate industry, you can now show prospective buyers in a different city or country virtual reality representations of properties so they can narrow down which ones they want to visit in person. With Augmented Reality marketing you can provide contextual information on products for consumers to quickly find what they’re looking for. 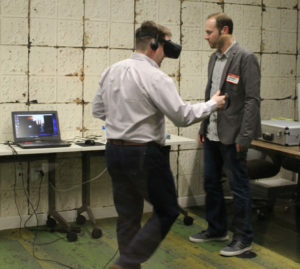 VR Sales Training – Forget about regular roleplaying when training your sales staff. 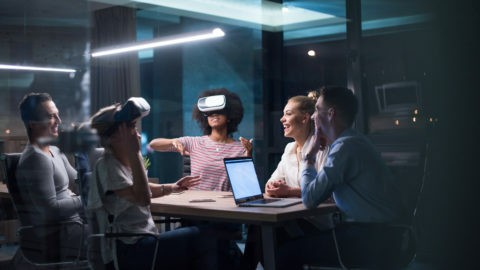 With VR you will be able to do sales training with team members across the country while being able to pick up on their non-verbal cues. A point of contention among the panelists was how quickly would this advanced technology be adopted by the masses. Right now, as Winifred from AARP pointed out, as a consumer there are plenty of frustrations in using VR tech that have to be overcome for mass adoption. However, the potential of creating new content that allows for immersion is worth the wait. The panelists project time frames of two to 10 years for when the technology will have mass adoption. Projecting out to the future is difficult, especially because the prices for the tech are dropping quickly and development of the technology is accelerating quickly. We had multiple VR demos happening before and after the event. They were a hit with marketers lining up to test out the latest and greatest of the tech. You should come to our next meetup! 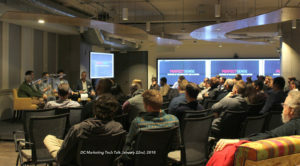 Check out our event calendar and RSVP on the DC Marketing Tech Talks Meetup page. A special thank you goes out to Perfect Sense for sponsoring the evening’s event. Perfect Sense is a full-service product company that capitalizes on its enterprise digital application development platform, Brightspot, to drive innovations in web and mobile development by powering dynamic & highly engaging consumer experiences for corporations worldwide. Photo credits go to Julie Ann Pixler. This event recap was contributed by Maciej Godlewski, the CEO of Fired Up Digital, a digital marketing firm in Washington D.C. and Boston. 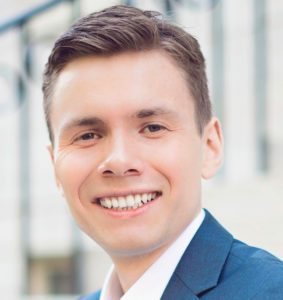 Maciej writes on technology trends facing the marketers of tomorrow.